Did you know that June marks Potty Training Awareness Month? Potty training is something that is no longer a part of my life but, it was definitely a challenging time for us in different ways for both our girls. I wrote some helpful potty training tips too! I know for a lot of you, it’s a reality right now. Potty training can be a guessing game, you have to watch out for signs of readiness, determine what type of potty personality your child harbours and how you will reward your child for a job well done. Most of all, you have to find the right training pants for your little one. 1. Tugging at a wet diaper. 2. Hiding to pee or poop. 3. Interest in others’ use of the toilet or copying behaviours. 4. Having a dry diaper for longer periods of time. 5. Waking up with a dry diaper after a nap. 6. Telling you when they have to go, are going or have already gone in their diaper. 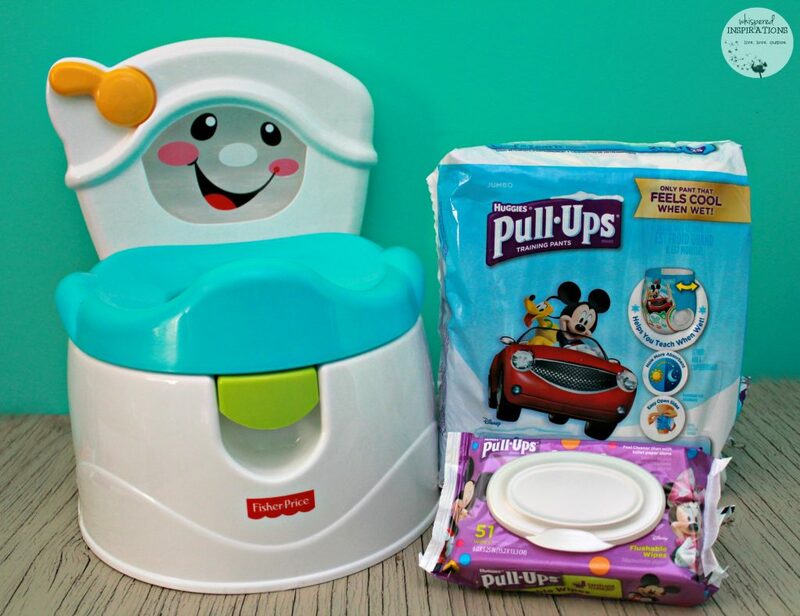 The Pull-Ups Potty Partnership Toolkit. One thing about potty training is that you don’t have to go at it alone. There are many resources that can help you on your journey with your child. 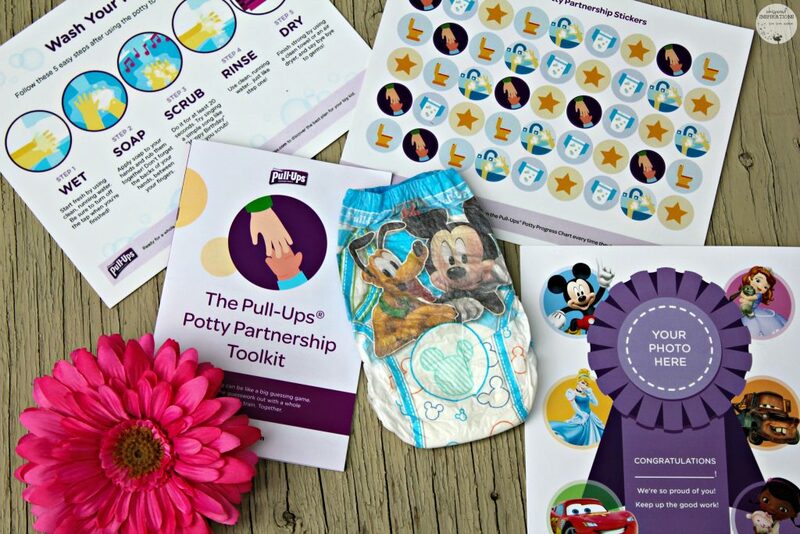 Pull-Ups has put together an amazing toolkit that has a useful pamphlet with all of the information that you need to know about potty training. You can discover what their potty training personality your child is, a shopping list, training pant options, travel tips, how to talk to your child about potty training, how to praise them and more. It also comes equipped with other fun goodies that will help make your potty training more fun! The Pull-Ups®Potty Partnership launched earlier this year with huge success and offers a whole new way to potty train. Created in partnership with renowned child psychologist and potty training expert, Dr. Heather Wittenberg, it’s tailored to work with every child’s unique personality, on their schedule and according to how they learn. By completing a free, online quiz, parents will receive customized tips and advice based on the Potty Personality their child most resembles: a Squirrel, Bear Cub, Puppy, Owl or Turtle. Choosing the right training pants can go a long way too. It can help with the hiccups along the way and you are going to want something you can rely on. The Pull-Ups training pants are designed specifically for boys and girls. The training pants for boys have extra protection towards the front of the pants while the girls training pants have protection in the middle. You have options too and you can find the right type that will help encourage your child to use the potty. There is Pull-Ups Learning Designs that have unique patterns that fade when wet. The Pull-Ups Cool & Learn training pants feel cool within seconds of getting wet and lets your little one know it’s time to hit the potty! Lastly, there are Night*Time training pants that help you stay consistent–day or night! All of them retail from $15.99 – $39.99. For more details, visit Pull-Ups.com. I know that my girls absolutely loved the praise they received when they used the potty and learned how to wipe themselves. They felt accomplished and so very proud. Pull-Ups flushable wipes will help your child get cleaner than just using toilet paper alone. It gets them fresh and best of all, they are sewer and septic safe and will break apart when they flush them. So, no worries Moms and Dads! 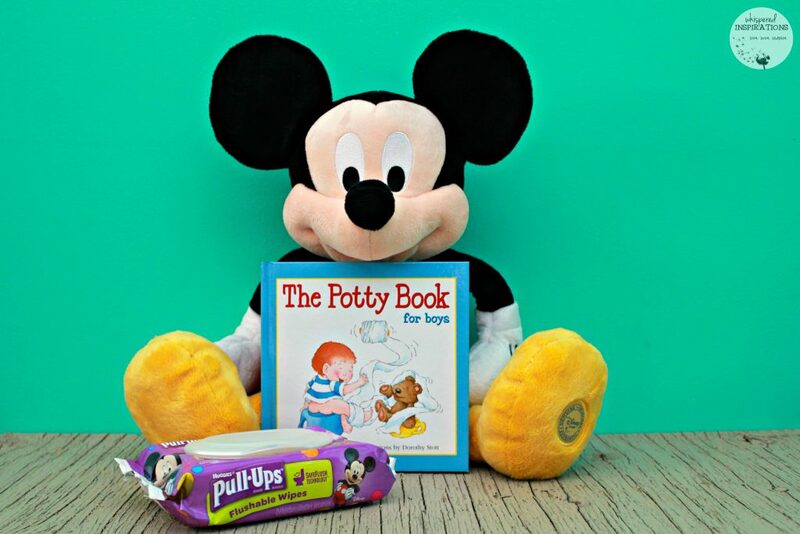 The Pull-Ups Potty Training Parternship Toolkit is perfect to get you started! The training pants are adorned with fun designs of the one and only mouse and you can tell that they are really absorbent. You can also feel the difference. They are softer than I remember! 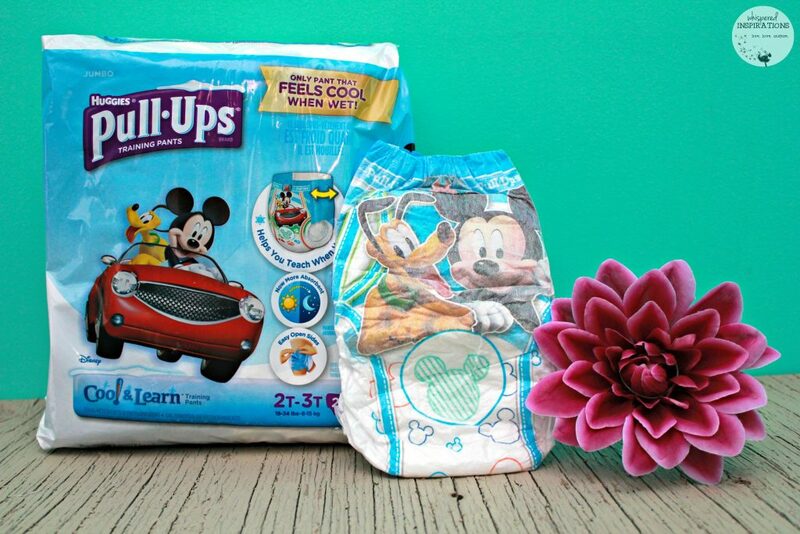 One lucky Whispered Inspirations reader will win a Pull-Ups Potty Partnership Toolkit that is packed with goodies to help you conquer potty training. The approximate value of each Toolkit is $250. There you have it folks, my biggest advice for potty training is to follow their lead. If you try to rush them, it may not work. Kids develop differently but, you don’t have to go at it alone. With resources like Pull-Ups.com, you’ll be well on your way. You’ll find potty training articles, quizzes and vids. Plus, don’t forget to take your own personalized quiz for your child too. You can take the quiz, HERE. Follow them on Twitter, Facebook , Pinterest and YouTube for the latest updates! I would love to give this to my daughter for her son! 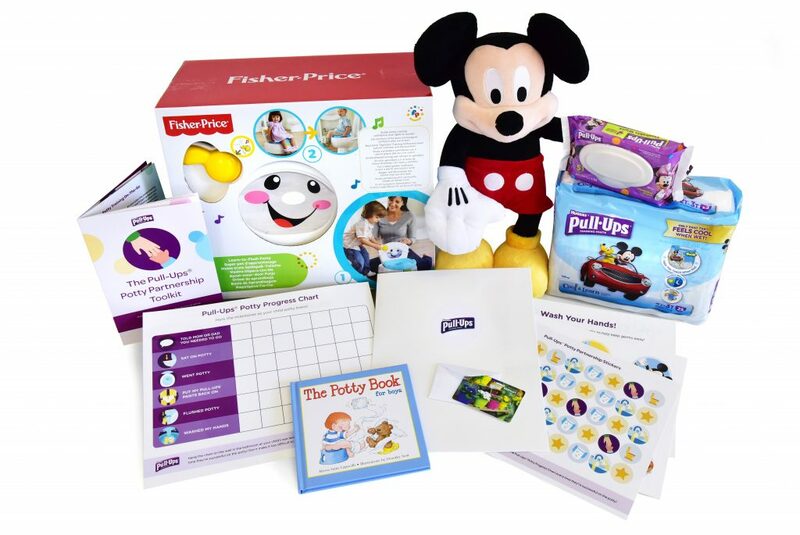 I would use this awesome prize pack to potty train my toddler. Thanks for the chance to win! I would gift this prize pack to my sister-in-law. My niece is aaaaalmost to the potty training stage. I would love to gift this to my friends son. He is almost at the stage of potty training, and this would be perfect. Thank you for the chance. I would like to win this for my son who is turning 2 at the end of this month. My little man just stared to wear Pull-Ups. Great prize and would come in handy! My best tip is to keep it fun. If you stress out about it, it will definitely take longer! Would love to win this for my nephew who is just about to start potty training. This would be great for my nephew this summer! We have just started potty training our little one. So far the best tip I have is be persistent. I would love to gift this package to my niece for her little one. I want to gift this to my friend who is expecting in few months. We make a game of it and see who can get to the bathroom first. My tip is set a timer to remind you to take baby to potty every 1/2 hour or so. I am not very good at potty training so a bad one to give tips!! lol I think one just had to stick to it and hope for the best!! i would use this gift pack for my son who needs extra encouragment! We are heading into potting training soon and need all the tips we can get!! My best potty training tip is to be consistent and definitely wait until the child is ready! I would keep this as we are working on potty training my little guys currently. I would love to win this for my niece to aid in her potty training. My best potty training tip is praise and rewards. I would love to win this for my youngest granddaughter. You need to wait till the child is ready. I would gift this prize to my son and daughter-in-law who have a little one. I would love to gift this to my best friend! I was lucky and potty trained my kids in the summer time. I just let my kids run around with no pants on outside. Their potty was outside as well. This kit would be for my nephew who is just getting curious about the toilet. I would love to give this to my bff who had her first baby a few months ago. My best potty training tip is to be patient! I think reward stickers and prizes are great incentives for the child too. Would love to gift this to my 2 year old nephew! I would like to give this to my sister in law to use for my nephew. I would like to give this to my daughter in-law and son for my granddaughter! I would like to give this to my sister for my nephew. I would like to win this for my son. I think this would really help him on his potty training journey. I would like to give this to my granddaughter who is going to be 2 so she can start her training. I would love to win this, so I could give this to my friend for his little boy. Thank you for the chance. This would be perfect for my nephew who is just starting potty training. My best tip is to be patient. They will go when ready. We are potty-training so I would like this kit for us to use. Take 3 or 4 days and commit to it. I would love to win this for my friends little boy. He will be soon starting to potty train. It would be perfect for my nephew who is just starting the process. We could use this ourselves! Would like to gift it to my nephew who is starting to potty train. I would love to give this to my niece who’s potty training her daughter now. I would love to gift it to my friend who is expecting. I would love this for my granddaughter. I would give it to her Mom. It would make potty training fun! I,d give it to my daughter if i were to win. It would be great to be able to gift this to my nephew who is just starting to train. This would be for my grandson. I find using a reward system is helpful. My tip is to make sure you take your child to the bathroom before you leave the house and as soon as you get home. My nephew is just starting the training process so would love to win it for him. I would give this to my friend who is expecting her first son. Using a reward system has always worked well for me. My tip is to train during summer so less clothes are necessary. I would give it to my brother and his wife. Best tip is to be patient and not rush it. Training will happen easier when your toddler is ready. I would love to give pack this to my friend !! Patience, remember to be patient!! I would gift this to my daughter in law to help her with toilet training my grandson so she would have it once she determines he is ready. I would love to win this for my little granddaughter. This will make potty training so much easier. I would love to win this for my friends little boy. My nephew is starting potty training so would like this for him. I would love to win this for my friends little boy. Thank you for the chance. I would like to get this for my son. He is right close to the potty training age. Patience is key to successful potty training! I would like to win for a close friend who is starting the potty training stage! I would save it and use it when my daughter is ready as she is only 7 months. Thanks for the chance. I would love to win this for my granddaughter who will soon be starting her potty training. Would love this prize package for my nephew. My daughter could use it. Give a little reward for potty success. Even a Smartie or 2 will encourage them. I would gift this to a close friend who will be starting the training soon! This would be awesome for my daughter and her son! I don’t really have any good tips. My oldest was so difficult and my middle was trained because her grandma and aunt wouldn’t take her to the parade and for a sleep over. So she lost her mind and they came back for her and she was potty trained since. Not sure what game plan to have with my 21 month old. . I would give this terrific prize package to my niece, she has 2 little ones to toilet train and it would be really helpful to her. I would love to gift this to my best friend. I heard that stickers work well as rewards! I need this for my son, we are trying to potty train him now. I usually sit them down on a potty when I know it’s almost time to go and sit them to watch tv or play and when they go they get excited and want to go again. I would love to win this for my friends little boy. Thank you so much for the chance. I have a friend who is pregnant. I think she would love this. Very nice prize package. I would like to gift this prize pack to my niece. My best tip is keep at it. I know my daughter will get it. It would be wonderful to be able to win this and give it to my daughter for her son! Some children prefer a potty on the ground, and some prefer the insert that sits atop the regular toilet (used with a foot stool) – maybe trying both is a good idea to see which your child likes best. Fingers crossed for he win for my son. I would gift this to my daughter. She’s heading to potty training age and could make good use of this! I would keep it for my sone who is on the cusp of potty training, it would be helpful at just the right time! I would gift it to my sister-in-law. If i were to win i would gift this to my friend . Would love to gift this to my cute little nephew who is just starting this milestone! I would love to win this for my daughter. She is just starting the potty training process with my grand daughter. This would be perfect for my little grandson who is just coming up to the potty training stage. He is almost 23 months old and already showing some interest in it but he needs this potty! My daughter would love this for her son!